I love the art and beauty of poetry as a person, not just as a teacher. I initially fell in love with poetry in high school thanks to the influence of some truly phenomenal English teachers, but everything changed for me when I got to my freshman year creative writing experience. At my university, we had something called “May Term”. For students who wanted to take an extra course before going home for the summer (I think we took four in the fall semester and four in the spring), we could elect to take a May Term - a three week long class that met for about four hours a day Monday through Thursday. Man, do I miss college! So to get a leg up, I enrolled in May Term Creative Writing as a freshman. This meant that I had nothing but poetry and beautiful prose four days a week for an entire month. It. Was. A. DREAM. One thing I learned in that class was how important it was to explore and write poetry out of my comfort zone and to also write in styles and forms that didn’t already feel like they were my “type” of poetry. The more I did things that I didn’t know, the better I wrote! And the second thing that I learned about poetry was that sometimes the composition of the poem can be more interesting, more challenging, and more fascinating that writing the words. In all of my previous poetry experiences, teachers had always focused on the language and the writing of the poem. When I learned about the CENTO, all of that went out the window. The word CENTO means “patchwork”. The goal of a cento poem is to pull together lines and phrases from the writers and world around you and arrange them in a meaningful way to create something new. If scraps of fabric can form a brand new object (a quilt), then so can language form a brand new poem. But that’s the point: he musn’t know! Why Does Nicki Minaj Make More Money Than Your Teacher? Put the hyena in a freakin' zoo! This exercise in poetry is also really useful when teaching a novel. One assignment I love to give is the Novel Cento. In this assignment, I ask students to choose a character or theme from the novel we are reading. Then, I send them off with a highlighter in hand to go back through the story looking for lines that are the best representations of that character or theme. Students create a nice long list (20 lines or more is best!) and then take those lines to compose their poem. I also have had students compose these poems over a weekend where they’ve collected snippets of conversations that they overhear, lines and phrases from the places they go, and any other language they encounter. Then, on Monday, they write for me “The Weekend Cento” and we discuss what their poems reveal about their environments. What I love about teaching with the cento is that it takes away the fear of “writing” for students who are intimidated when asked to write a poem. This form seems approachable for almost all kids and I tend to get high buy-in. 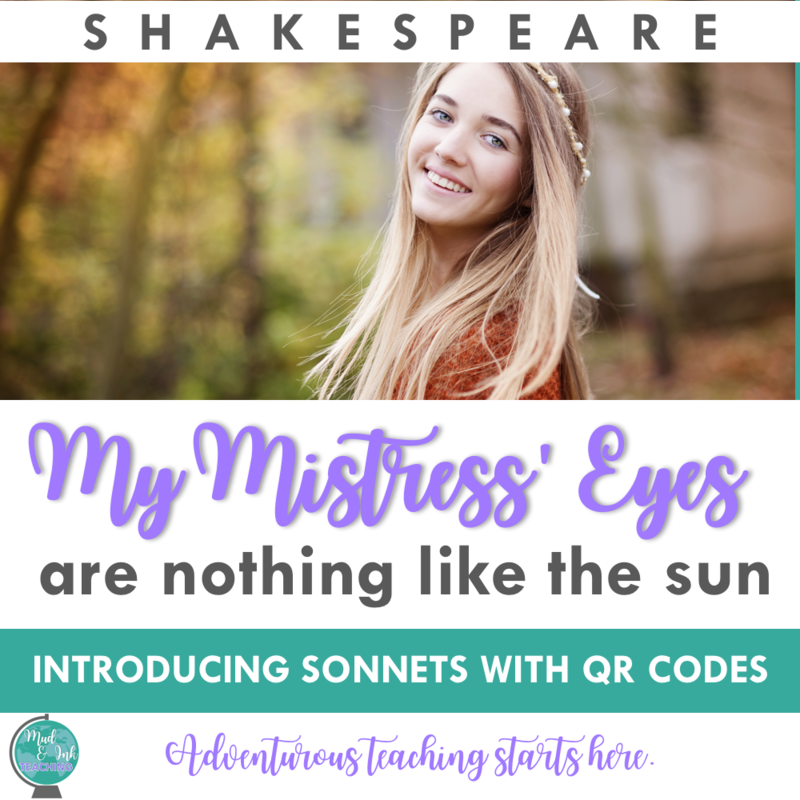 It also gives you a chance to teach the nuances of stanzas, line breaks, and building the emotional curve of a poem without the stress of ALSO writing the words of the poem itself. If you try the cento in your classroom, be sure to come back and tell us all about it! I’d love to hear how this gave your students a new opportunity for critical thinking, artistic expression, and even some end of unit assessment options! Also, be sure to check out my Amazon Poetry Favorites - each of these books has been INVALUABLE in my poetry teaching experience! LET’S GO SHOPPING FOR YOUR CLASSROOM!